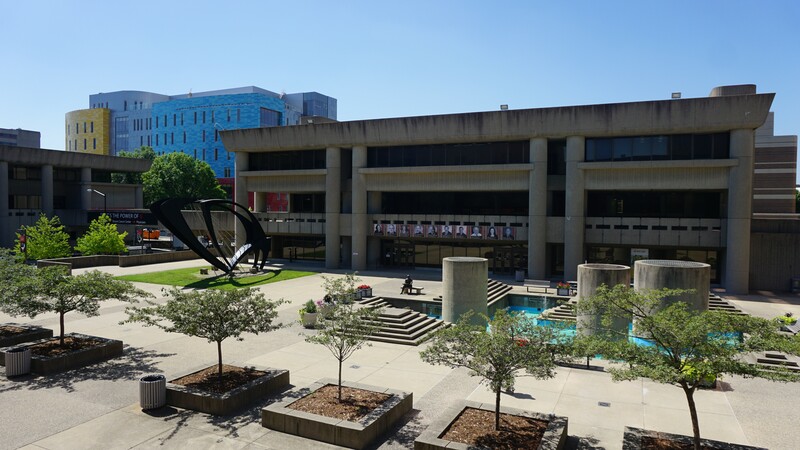 The Kornhauser Health Sciences Library houses materials and services supporting the health-related programs of the University of Louisville, including the schools of Dentistry, Medicine, Nursing, and Public Health and Information Sciences. The library's collection contains over 250,000 cataloged volumes in print and thousands of journal subscriptions both in print and electronically accessible and represents a significant resource for the entire medical community of the Louisville metropolitan area and the western half of Kentucky. The library provides access to databases of biomedical literature, electronic texts and journals, and other medical and health sciences-related information resources both on and off campus. The library's web site serves as a gateway to the University of Louisville Libraries' online catalog, databases of the biomedical literature, electronic texts and journals, educational tools, and other medical and health sciences-related information resources available both on and off campus. The historical collections and medical school archives include numerous items relating to health care in Kentucky and the Trans-Appalachian West. Library services include circulation of materials, reference, instruction, interlibrary loan, and literature searching. See the Library Collections web page for further information on our library collections. Kornhauser Library is open 24 hours a day 7 days a week. You can learn more about the library at Kornhauser Library's Facebook page and the University Libraries' blog.